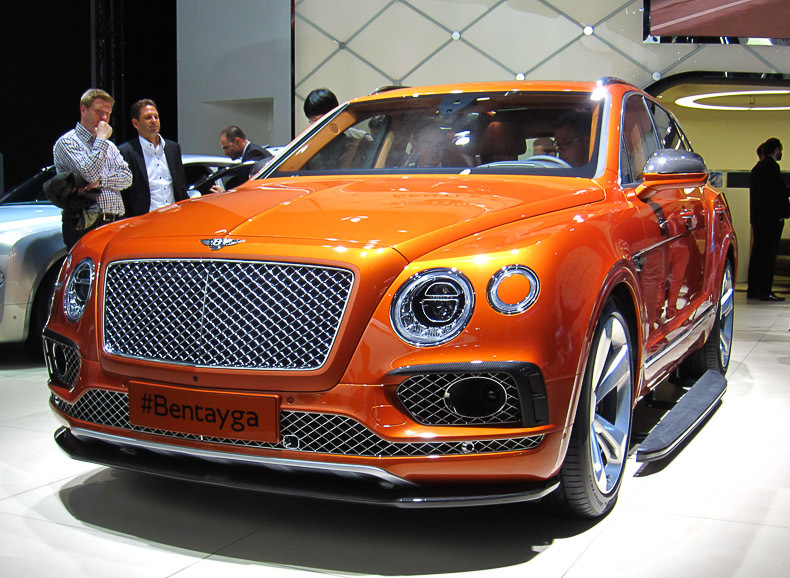 The Bentayga is the fastest, most powerful, most luxurious and most exclusive SUV in the world according to Bentley, a statement which could very well be true. The production version of the EXP 9 F Concept is based on the platform of the new Audi Q7, but designed, engineered and handcrafted in Crewe. It sits on the 2,992 mm wheelbase of the Q7, while the overall car length is 5,141 mm, its width is 1,998 mm and height 1,742 mm. It can be selected with four- or five-seat configurations. The four-seat version features two individual rear seats that adjust in 18 different ways and include massage and ventilation functions as well as footrests. The storage space features a leather-trimmed folding seat that matches the style of the cabin seats, according to Bentley “Ideal for those wishing to stop for a moment and enjoy a spectacular outdoor environment or pursuit”. A 6.0-litre twin-turbocharged W12 engine with a power output of 608 hp and 900 Nm torque powers the SUV, with which it could achieve a top speed of 301 km/h and accelerate from 0-100 km/h in 4.1 seconds. The engine is mated to an eight-speed transmission, while the CO2-emissions are 292 g/km. In the future Bentley will launch diesel and hybrid variants. The success of small crossovers is not hurting sales of midsized models, as these types of vehicles enjoyed an increase of 10% in the first half of 2014, exactly the same growth rate of compact cars, the segment most buyers of these vehicles are expected to switch away from. The new generation Nissan Qashqai, the traditional leader of the segment, has helped the model reduce its sales decline to just 3%, which will undoubtedly be turned into a sales increase by the next quarter, let alone by the end of the year. The Qashqai is on its way to a record year, breaking the 208.649 units it sold in 2011, the second of four consecutive years (and counting) above the 200.000 mark. 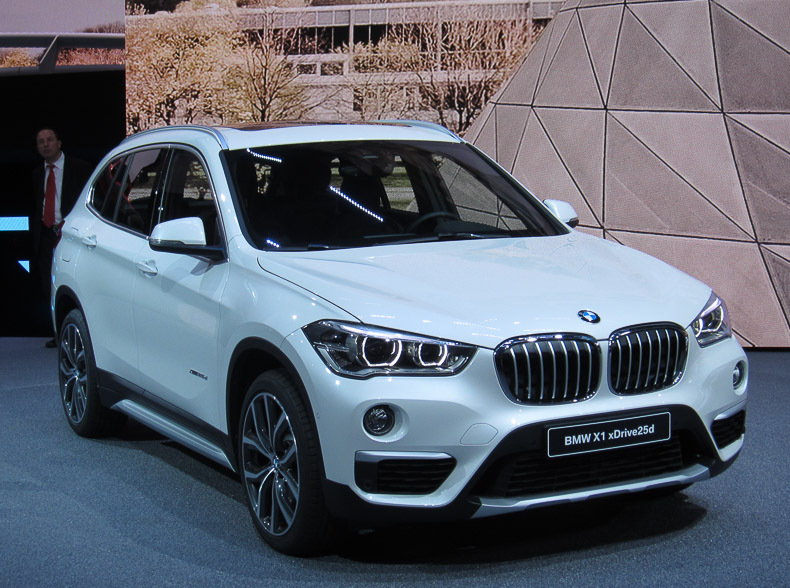 Sales of midsized crossovers and SUVs in Europe keep on growing, up another 8% in the first three months of 2014. And underscoring the stability of the segment, the top 5 ranking is stable, with the Nissan Qashqai still firm in the lead, despite sales down 13% due to run-out mode for the outgoing model while deliveries of the new generation have just started. This new generation will undoubtedly keep the British-built crossover in first position for the full year, and get it back into positive territory as well, selling over 200.000 units for the fifth straight year. The midsized SUV segment remains stable, growing just 1% in 2013, which still compares favorably to an overall-market decline of 2%. No surprises for the top two spots, as the Nissan Qashqai and Volkswagen Tiguan remain firmly in place. The Qashqai is due to be replaced this year, and will undoubtedly hold on to the top spot again, possibly topping 200.000 annual sales for the fifth consecutive year. Behind the Tiguan, the Kia Sportage has leapfrogged its cousin Hyundai ix35, but the biggest increase comes from the Mazda CX-5, almost doubling its 2012 sales and moving from #11 to 7th place. The midsized SUV segment remains stable, growing just 1% in the first three quarters of 2013 compared to the same period last year. The fourth largest segment in Europe has a clear number one and number two, but there’s heavy competition for the other places in the top 10. Soon-to-be-replaced Nissan Qashqai leaves the rest of the industry wondering when its sales momentum will come to an end, but for the first 9 months of 2013, its sales have remained virtually flat. The new generation will be introduced next month, a 7-seater to replace the Qashqai+2 is not planned, as Nissan will replace the body-on-frame X-trail with a crossover that is identical to the US Nissan Rogue, which will cater customers who need more seats. The new design will move X-Trail back up the ladder as well, increasing the Asian stranglehold on the segment.